Its important that your account with intelligentcontract.com remains secure. In line with other cloud based services we have introduced the option to secure your account with two-factor authentication? By default, your intelligentcontract.com account is accessed using a username (normally your email address) and a password. When a user switches on this feature for their account they will be prompted for a 6-digit number. This number is generated on a smart device and changes every 30 seconds. If the user types the correct number access is granted. Username/password and this second level of security based on a 6-digit number is what is known as two-factor authentication. Click on "logout card" and then the "My settings" link. Click on "Manage two-factor authentication" and then click "Enable two-factor authentication" to activate this feature.Instructions on where to download the app for your smartphone device will be presented - the platforms iOS (iPhone), Android, Windows and BlackBerry OS are supported. At this stage the user will need to download the app ready for use.A QR code (similar to the example shown below) will be presented on screen. 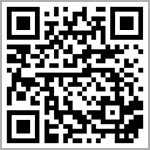 While the downloaded app is open, the smartphone camera can be used to scan this code and set up the secure generator. The smartphone will now show the revolving 6 digit secure numbers. Enter one of the codes generated by the app into the input field and click "Submit". The account is now ready for two-factor authentication on next login. With two-factor authentication switched on, the process for logging into intelligentcontract.com changes. Once a user has provided their username and password, the current 6 digit secure key must then be provided. Although a user can turn off two-factor authentication on their account, administrators are able to do this on their behalf. This facility is provided in case a user loses or changes their device which generates the secure code or accidentally deletes the app. Get a handle on all your suppliers and their underpinning contracts. Our solution allows you to create a centralised store of suppliers and contracts and then provides simple tools to help you manage those contracts. Tools to help store copies of contract docs, set email reminders, process amendments and manage supplier risks and to-dos in a simple to use solution. Prices start at just £29 per user per month.